Before You Do Any Work On Your Roof Check With Your Insurance Agent. 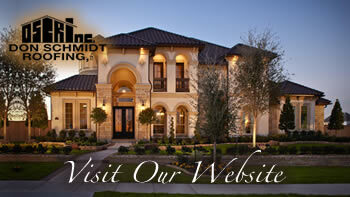 Home » Don Schmidt Roofing Blog » Before You Do Any Work On Your Roof Check With Your Insurance Agent. Reviewing your coverage with your insurance agent will inform you as to whether you are protected from Hurricane damage and just what you will need to do to bring your roof up to acceptable standards. You should also discuss with your insurance agent about whether your current coverage will help you with a new roof and if you should choose a particular type of roof that when it is installed, the method will lower your rates and give you as well as your property the kind of protection you expect. A good roof system will be insurance for the insurance company itself. Insurance companies do lower rates when home improvement projects, like new roofs, minimize their exposures. If you are unclear about this, then allow us to assist in your discussions and provide the background and research for the various roofing systems you might like to choose. We will provide the information that your insurance agent will want to know so that they can give you the right information that benefits you and your family.